From the New York Times bestselling author of Always and The Violets of March comes an emotional story of a dreadful storm, a missing child cold case, and a determined reporter who just may have a stronger connection with the past than she realizes. Seattle, 1933. Single mother Vera Ray kisses her three-year-old son goodnight and departs to work the night shift at a local hotel. She emerges to discover that a May Day snow has blanketed the city, and that her son has vanished. Outside, she finds his beloved teddy bear lying facedown on an icy street, the snow covering up any trace of his tracksor the perpetrators. Sarah Jio burst onto the fiction scene with two sensational novelsThe Violets of March and The Bungalow. 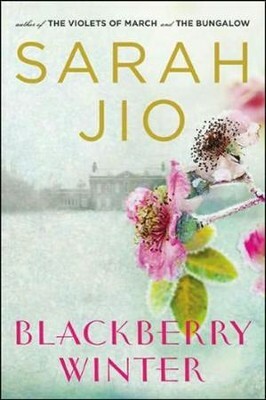 With Blackberry Wintertaking its title from a late-season, cold-weather phenomenonJio continues her rich exploration of the ways personal connections can transcend the boundaries of time. 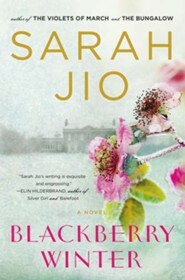 Sarah Jio is the #1 international, New York Times, and USA Today bestselling author of eight novels. She is also a longtime journalist who has contributed to Glamour, The New York Times, Redbook, Real Simple, O: The Oprah Magazine, Cooking Light, Womans Day, Marie Claire, Self, and many other outlets, including NPRs Morning Edition, appearing as a commentator. Jio lives in Seattle with her three young boys. I'm the author/artist and I want to review Blackberry Winter: A Novel.